After a couple of years every carpet even the most expensive and made of quality materials starts to look worn out and shabby. 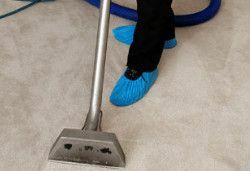 To bring its glamour back and make it shine of cleanness you need the help of a specialized in carpet cleaning company. We are one of the leaders in Finchley, London and are determined to stay such. To have your carpet entirely cleaned and immaculately fresh, order our services and you won’t regret. To perform a good work CleanersFinchley have some stages in carpet cleaning. First we estimate the damages in your carpet. If there are some stains and spots from food, drinks or burnt areas in it we take special measures. Then we start removing the dirt,food leftovers and stains form the rug with vacuum or deep cleaners. After that we apply drying using drying machines. We use very little time for this process. And finally we spray the carpet to refresh it and make it nice scented. In this final stage you can check your cleaned carpet and say if you are content with it. If you are not pleased with our work we are ready to repeat it to deliver the results you expect. Book us now. Our cleaning detergents can remove absolutely everything from your carpet. The cleaning devices we have are the most powerful and effective. We use vacuum cleaners and deep cleaners with vaporizing water. They take away the blemishes from every carpet from the inside and don’t damage its material at all. The carpet cleaning we provide is gentle to the tissue of the carpet and delivers entire and full cleanness. Your old carpet will look like brand new after we treat it with our highly effective cleaning detergents. 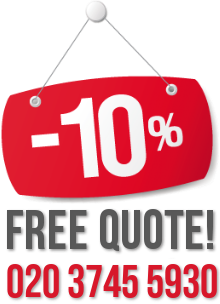 The results will be amazing and it will make your home in Finchley a well maintained and beautiful place. Using our carpet cleaning services will extend the life of your rug and save you the money you would spend on buying a new one. We can recover the condition of every carpet no matter how damaged it may be. We have the needed cleaning devices and very experienced and skilled employees, who are able to make wonders to your carpet.